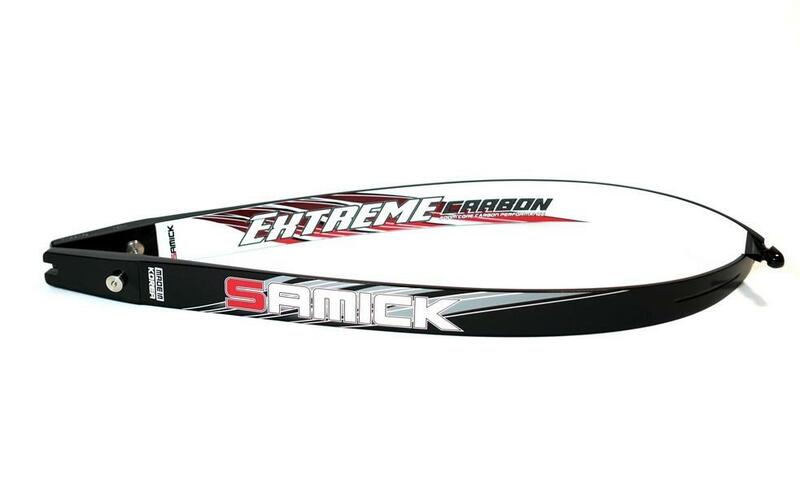 SAMICK EXTREME-C Limbs K-Archery - Archery Supplies. Recurve and Compound Bow, Arrows, Bow Hunting and Target Archery Supplies. SAMICK X-CIENT Limbs give smoothness and stability. It is made of bias carbon and foam core and laminated glassfiber. X-Cient limbs deliver light, fast and consistent performance..
Material: Bias Carbon and Laminated Glassfiber.